Because of some original period elements in my house like 4 fireplaces and a 135 year old oven, I suppose one can say it already has a cosy feel to it. That’s what original period features do to a space and we are fortunate to have some. BUT, and it’s a big but, don’t rely solely on existing period features to add cosiness to your pad. This room has evolved a few times over the past 5 years but now I am finally happy with it. 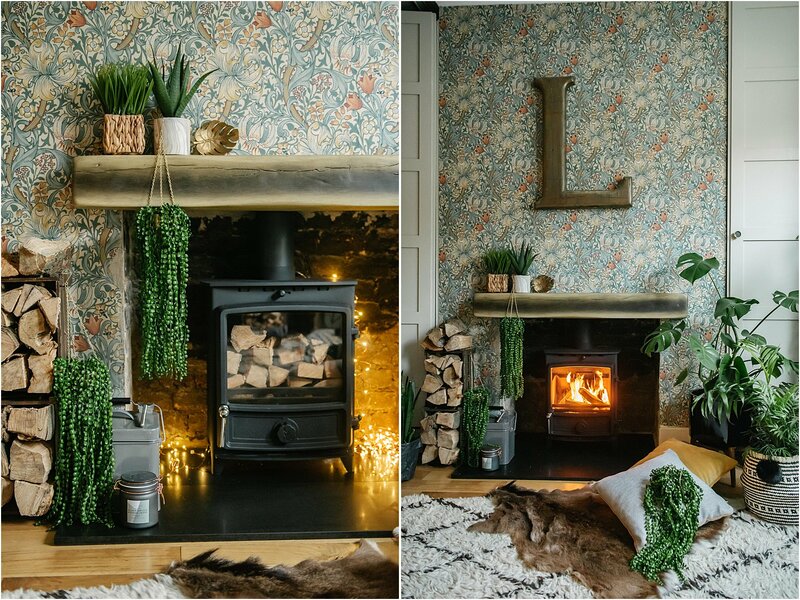 Here are the 4 ways I changed it to make it cosy without breaking the bank. I see amazing wallpapers on IG and Pinterest and a lot of them are eye-wateringly expensive. 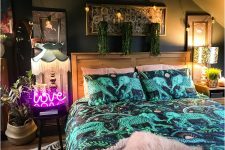 House of Hackney, Timorous Beasties, Emma Shipley to name a few favourites. But take heart there are really good affordable ones too from £15-30 a roll. You just have to look carefully and be more discerning with the design choice. I went for a middle priced range William Morris one that I managed to get from Ebay so I saved a few pounds on a roll. This one is called Golden Lily and is still fairly neutral in colour. At that time, I hadn’t discovered what dark interiors can do to a space and to the persons living in it so kept things fairly light. I installed panelled cupboards on either side of the chimney breast to use as hidden storage and painted these in Shaded White by Farrow and Ball. To stick to my budget, I got the paints from Ebay at a fraction of the cost, left-overs from an office renovation. Ebay, Gumtree, Craiglist, Amazon can yield good branded high quality product choices if you’re on a tight budget. One of my first forays in interior design was back in 2014 when we moved into this house. The wall opposite this papered wall was very bare and looked dull in the side of the house that got the lesser light. I decided to paint it with gold – Crown metallic paint in Millionaire which is now discontinued. I started with a tester pot and finished the whole pot the went out for more. My husband came home to a metallic gold wall! It was fun for a while but I knew it wasn’t what I really wanted. Last year I went with a dark green colour called Obsidian Green by Little Greene Paint. I didn’t bargain hunt this time for this and was so pleased at the quality of the paint – so velvety and easy to apply – that I decided it’s worth the premium and full price I paid for it. Going dark on this side of the room has really changed the cosiness of the space. It has made it feel bigger – and to attest to that, my kids came home and asked what I have done to the room as it felt so much bigger and so different! All I did was paint it dark green! True story. The dark walls made us feel ‘hugged’ and we know just how much therapeutic hugs can be. Because this room gets natural light, most of my plants here are real. I’ve killed some but they mostly thrive here. A trick that I’ve learned when it comes to plants is to mix real and faux and therefore you can get away with the faux blending in with the real. Foliage softens any space and gives the feeling of being outdoors. Besides, it feels wonderful having real stuff from creation amongst all the man-made accessories we fill our house with. 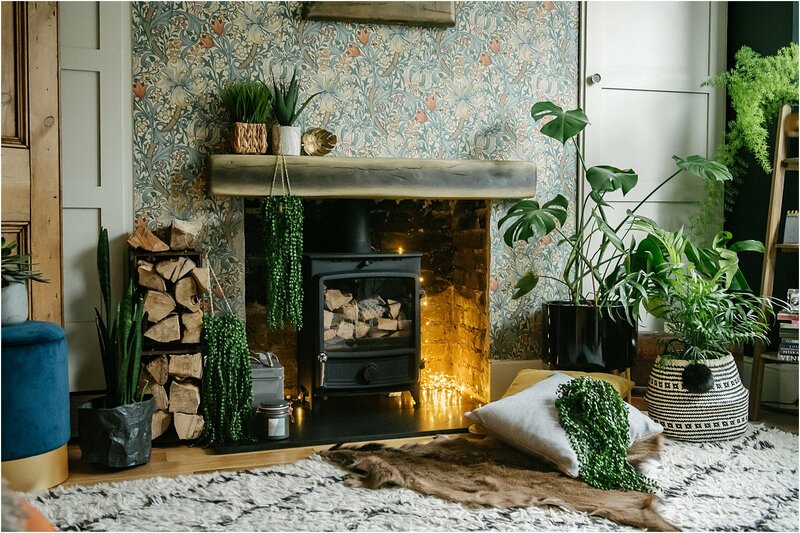 If you are unsure of which accessories to go for or make a feature of in your own home, you can never go wrong with plants! I also shown more greenery on my kitchen make-over post. Go for different styles and sizes of plants – some trailing, other succulents, some exotic and some can be more like small trees! The more the variety of sizes the more interesting the space becomes. I get my fauxs from various sources – some from my local market, Primark, TkMaxx, Abigail Ahern and from searching on Google. If you’re worried about whether you can keep real ones alive, choose ones that live on low light like Philodendrons, Snake Plant aka mother-in-law’s tongue, Aglaonemas, Darcaena, Kentia Palm all of which I have in my home. They require very little maintenance and I only water them when I see them start drooping. Some plants especially tropical ones, I find, get thirstier than others like foxtail, spider plant, peace lily and monstera deliciousa aka cheese plant. Succulents like sedum thrive on very little water and die if over-watered. Their roots rot and they die fairly quickly. I usually check 1-2 inches from the topsoil to see how dry they are before I water them. Much as I love the idea of enjoying wonderful real wooden flooring or concrete or slate, I hate walking on cold floors! Layered rugs is your answer. Not only do they add texture, they keep your feet warm too. I have found, especially if your house is on the dark side, that going light coloured on the flooring / rugs really help bring light into the room. It doesn’t take centre stage because they’re on the floor and you often have to look down but they reflect available light which is something you don’t notice but feel. I have beige and cream but I like them on rugs especially if they are geometrically patterned, black and white, zebra stripes – my favourite – or skins. Skins like cowhides I find are the easiest rugs to care for. I once spilt paint on my Annie Sloan Graphite paint on my cowhide. I soaked and scrubbed for an hour or so and it all came off like a dream. There were no traces whatsoever, I guess that’s the beauty of a natural product. Don’t be afraid to layer 2 or three rugs, overlapping each other. It makes the space feel homely and lush and is a favourite trick I’ve learned and use all the time. Choose different rug textures too to mix and match like skins (ethically-sourced), woven, or cotton. Juxtapose textured rugs against smooth cowhides. 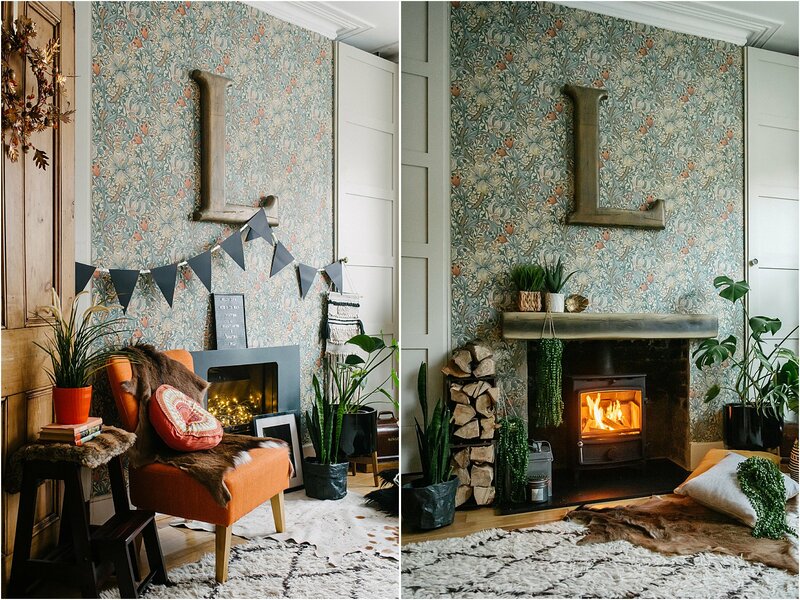 One home I absolute love on Instagram is Ciara Elliot’s. She has this amazing design sensibility and her house layered with rugs and textures is a huge inspiration. Go check her out and give her a follow. Choose a variety of different lighting positioned in various heights covering low, medium and high levels in your space. If you are able to have a dimmer on the ceiling light, all the better. Imagine your favourite restaurants – what type of lighting and vibes do they exude that made you love them? 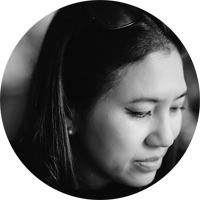 Mine are usually cosy, candle-lit spaces that exude warmth and a welcoming atmosphere. 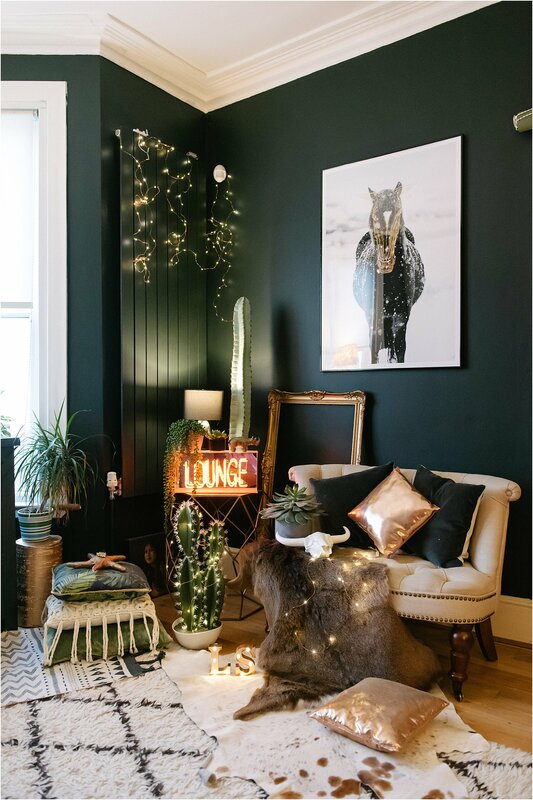 Lighting can be cosy not just for the light they emit but for their texture such as velvet fringed lampshades in jewel colours, coloured glass lamps, crystals, beaded shades, wooden or wicker shades, or textured paper. Choose a textured shade to add more cosy to the light. 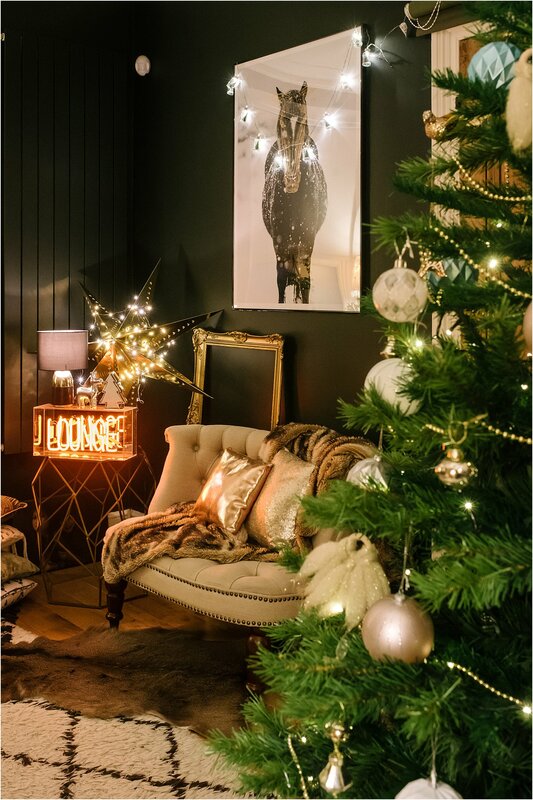 And don’t forget fairy lights – you can’t not have them. Cheap and cheerful – the copper wire ones are the very best of all! Often I find the industrial style bare bulbs tables lamps are quite difficult to use as the light can be too harsh especially the LED bulbs. They are better as overhead pendants in my opinion. My lounge has 7 lights including the ceiling chandelier which is often turned off despite being on a dimmer. The others are placed in all four corners and give off soft lighting, except for the neon light gifted to me by Locomocean which I wanted to feature in this corner. I didn’t include my wood burner stove in the 4 things because this was not an inexpensive item. In fact it is our one luxury spend in the house but has had a huge unexpected effect in our family life! I had it installed using some of my earnings from writing my e-book. It did replace an old gas fire which we only used less than 5 times in 5 years and also turned out to be unsafe as it was encased in wood! But of all the cosy features in my lounge, this has to be right up there. Add in some logs and I feel like I’m deep in the woods. I hope this post has given you ideas in making your space more cosy without breaking the bank (ok ignore the bonus point). Do share your thoughts on Instagram layered.home and I’d love it if you would follow me on there too! And please share on your stories or repost on Instagram, I’d be forever grateful!